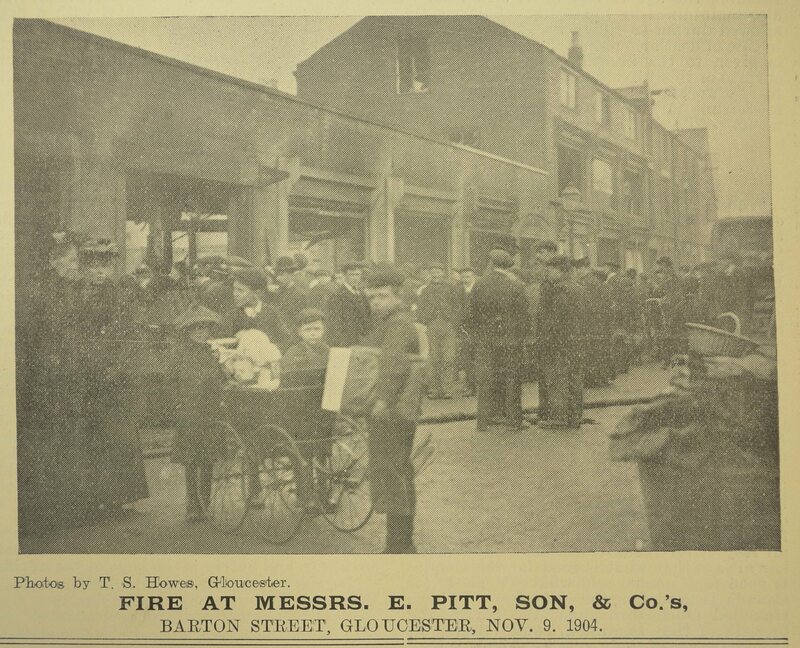 The photograph below, taken from the Cheltenham Chronicle and Gloucestershire Graphic, was taken on 9 November 1904, and shows the remains of the E Pitt, Son & Co. premises. The premises were clearly restored, for the 1906 Smart’s City of Gloucester and District Directory includes an entry for the firm at 128 Barton Street, where it is described as “perambulator cycle works, complete house furnishers”. Both the Graphic and the Smart’s Directory are available to view at Gloucestershire Archives. You can access a larger version of the image by clicking on it. We are grateful to Dave Bailes for identifying this image.